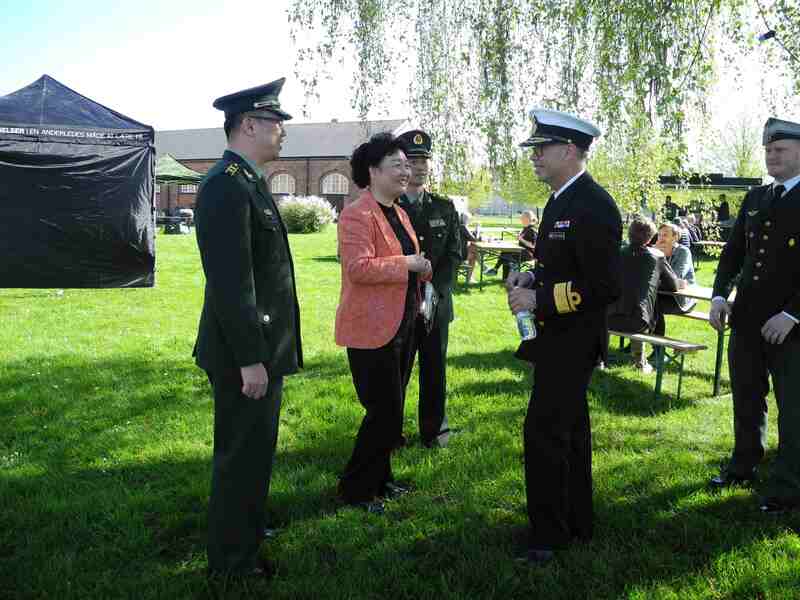 On May 5th, Ambassador Deng Ying was invited to attend the Danish Pilot Recruitment Day Tour, which was co-hosted by the Royal Danish Defence College and the People & Security Association. 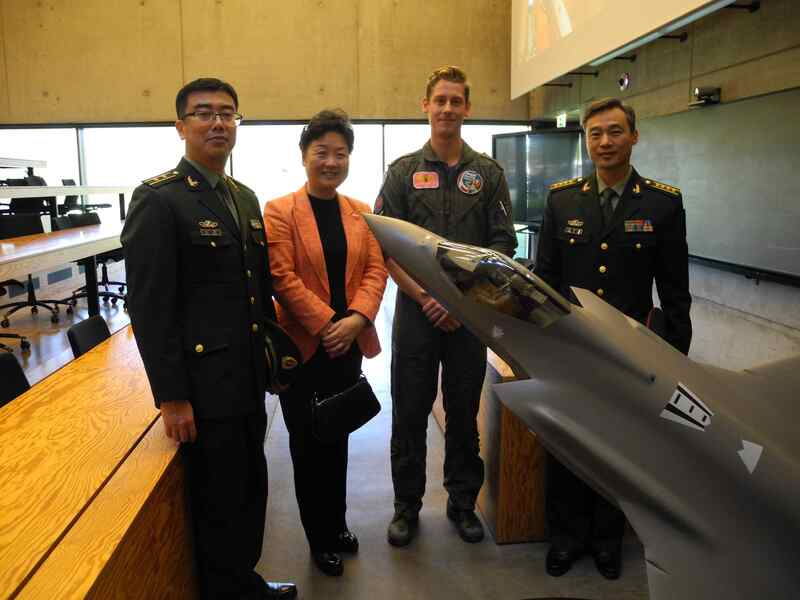 Ambassador Deng listened to the training presentation of the Danish Air Force pilots, visited the fighter simulators, and held friendly talks with the pilots and the commandant of the Royal Danish Defence College, the Rear Admiral Henrik Ryberg. Ambassador congratulated RADM Henrik Ryberg on his assumption of the new post, extended welcome to him for his upcoming visit to China for academic exchanges and wished him a great sucess. She also expressed her expectation that the exchange between the two militaries would go deeper and further. 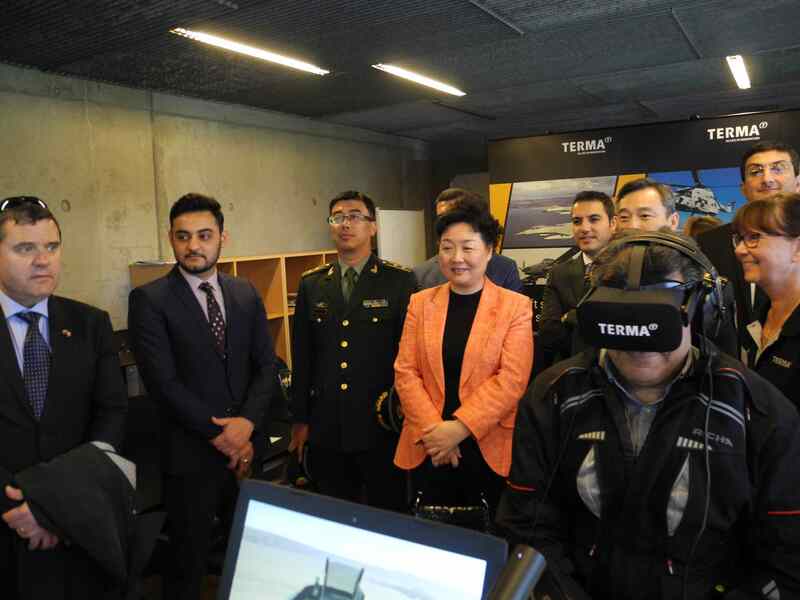 Defence Attaché Zhang Jiyu, the Senior Colonel, accompanied the Ambassador in this event.